I remember how I love looking at clouds at the back seat of my dad's car when I was a kid and I still gaze at them now. I feel as though their softness releases my stress somehow. They're so free and fluffy, I feel like shouting 'It's so fluffy! I'm gonna die!'. lol. Its so cute to find a DIY project like this from Wedding High. I just have to share it! Note: How much material you'll need depends on the size of your lanterns and on how bright you want it to be. Pull or fluff the cotton batting/pleats until they look cloud-like. 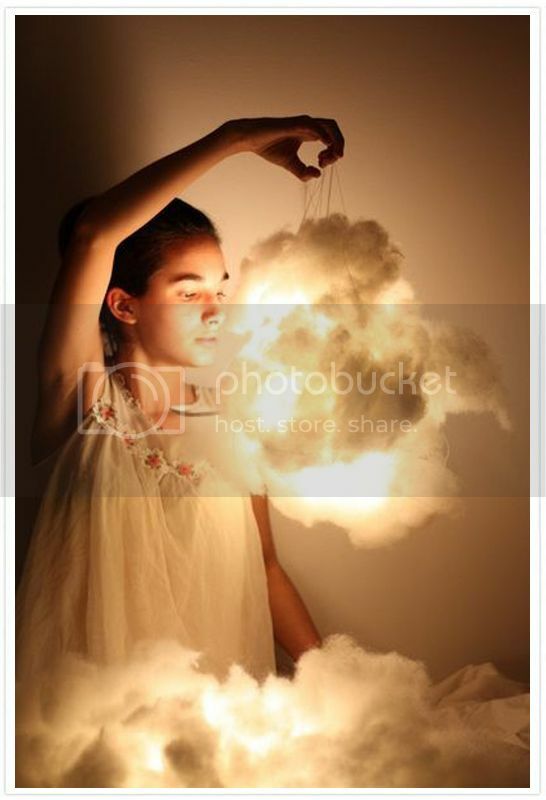 One by one, glue gun the fluffed cotton onto the paper lantern until you cover the whole lantern. Light the candle and put it inside. Easy! Tada! It's now ready to be hanged and stared at. This would be perfect for a lil girl's room too, don't you think?